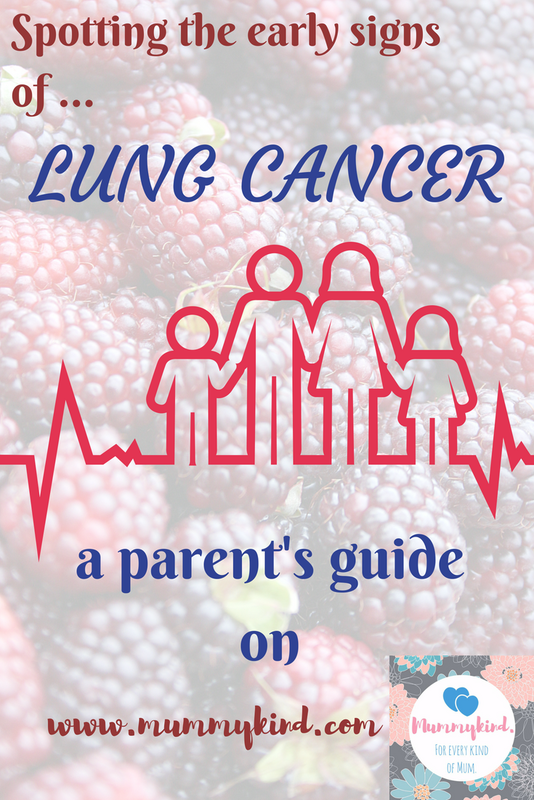 Thank you very much to Chrissy, working with http://www.seniorsandhealth.com, for this guest blog post on how to spot lung cancer early! A difficult subject that nobody really wants to consider, so we hope these tips will help someone who is feeling a bit unsure about what is going on! We all know that when you’re a parent, you need to stay healthy. You need all the energy you can get, and you certainly don’t want to become ill – who’s going to look after the kids then? One of the best ways to maintain your health is to listen to your own body. This can help you to spot the early warning signs of a whole range of illnesses, including lung cancer. And the sooner you notice that something is amiss, the sooner you can get yourself checked out and, if it turns out to be necessary, begin treatment and start fighting back. The symptoms that will be experienced by someone with lung cancer can vary a great deal, and unfortunately, some people don’t notice any symptoms for quite some time, giving the cancer a chance to get out of control. This means that it’s doubly important to keep a close eye on any changes to your lung health. That way, you will notice if anything is amiss. What are the early warning signs? Here’s a guide to the warning signs of lung cancer that you need to be looking out for and that you should never ignore. If you can answer yes to any of the following questions, make an appointment with your GP as soon as you can. In most cases, the doctor will be able to reassure you that nothing serious is wrong, but in those cases where cancer does turn out to be present, it is much easier to treat, and there is a much higher rate of recovery, if it is caught early. Cancers that are left continue to grow, and spread throughout the body, so don’t delay making that appointment. Do you have a cough that you can’t seem to shake, or which sounds or feels different than coughs you’ve had before? Are you getting more chest infections than you usually do? Are you short of breath, or becoming wheezy, when you are doing things that you used to be able to do without any trouble? Are you coughing up blood? If you do, don’t panic. There are several things that could cause this, but you do need to get checked out by a doctor. Have you lost your appetite for no reason? Are you feeling unusually tired or lacking in energy? Do you have an ache or pain in or around your shoulder? For many parents, the thought of not being around to see their kids grow up is the best incentive there is to stay fit and healthy. So, while many of these symptoms could be harmless and related to a common bug, it is always best to seek medical attention and get the necessary check-ups to diagnose if anything more serious is present.